A dedicated circuit is the sub-component of any electrical system devised to provide electrical supply to a single appliance. There are many household and commercial appliances that need greater current than the rest of the electrical installations within the building. For all such heavy-duty appliances, seasoned technicians providing electrical services in Magnolia, TX recommend dedicated circuits. The below discussion will further shed light on the importance of dedicated circuits. Whether it’s a commercial or residential setting, dedicated circuits ensure that consumers can streamline their electrical systems. The integration of dedicated circuits ensures that all appliances can get the voltage and current rating they require for functioning optimally. Sometimes the upsurge from the external power source becomes the reason for breaking down electrical equipment. Therefore, every circuit is also fitted with a breaker that can terminate the electrical connection in any such instance. Dedicated circuits also work in the same manner. They have the breakers that ensure the protection of the connected heavy-duty equipment from excessive current. A heavy-duty appliance connected to the main circuit of the building poses a risk to other appliances. For example, it can set off equipment damage by drawing more current from the main supply and then leaving it in the circuit to which lighter electrical equipment is also connected. By isolating the background electrical network for any higher voltage-rated appliance through a dedicated circuit, you can protect the main circuit from sudden current spikes. If multiple heavy-duty appliances are connected to a single circuit, then it can eventually lead to wiring damages. Electric wires in the home and commercial settings are developed to withstand certain voltage ratings and current values. When heavy electrical equipment operates on a single circuit, the load can reach to such an extent that wiring can’t hold it out, causing it to burn. Replacement of burnt wiring is not a simple task. Only seasoned electricians are skilled enough to replace the part of the burnt wire. By installing dedicated circuits for different appliances, you can ensure that the wiring of the building remains free of extra load. The operating life of many electrical appliances is cut short because the way they are powered. For instance, a constant voltage fluctuation from the main power supply can slowly grind down the operating life of a device. Users only come to know about it when their device suddenly breaks down. When a single device is taken care of by a single circuit, the device continues to operate on required voltage and current ratings which increases its operating life by several years. Furnaces, air conditioners, dishwashers, refrigerators, and washing machines are some of the appliances where experts recommend installing dedicated circuits. RHK Electrical is one of the most trusted contractors of electrical services in Cypress TX and other areas like Magnolia, Katy and The Woodlands. 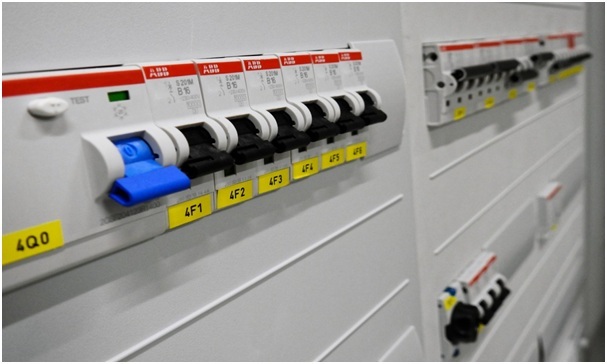 If you want to integrate dedicated circuits within the electrical system of your residential or commercial property, then their expertise can be of great use.